The first couple chapters are quite informative and useful. 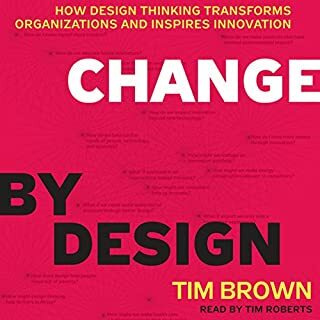 It lays out design thinking in a clear way and goes through what it involves, how to use it properly and effectively, etc. However, after that the rest of the book is just a long list of different projects that Ideo has done and changes it's undergone. I've walked away knowing a whole lot about Ideo and decent amount about design thinking. Overall, a good book though it could have knocked off an hour or so of the case studies.